Chances are if you become a snake bite victim, it's the copperhead that most likely attacked you in the first place. The North Carolina State University Cooperative Extension Service says copperhead snake bites are the most common, but the good news is copperhead venom is not usually very potent. As our own Art Rascon can attest, copperhead bites usually come without warning. 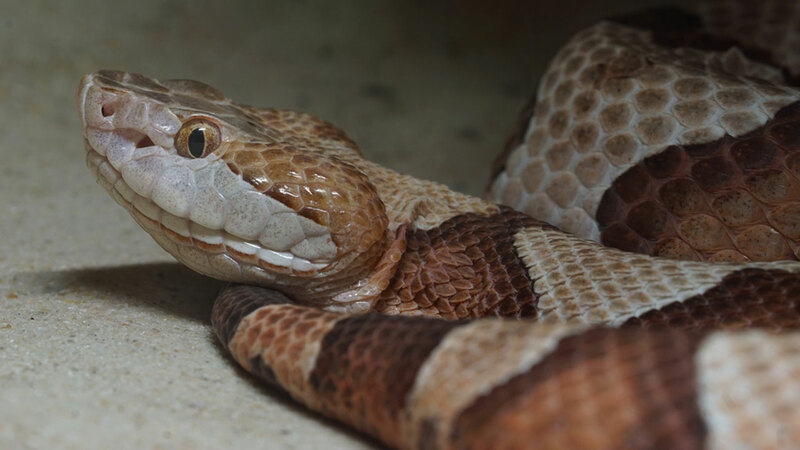 LiveScience.com says while many venomous snakes will give off a warning sign, copperheads have a nasty habit of striking almost immediately when they feel threatened. These bites are usually very painful, but it's extremely rare for a human to die from the bite. The most severe consequence of a copperhead bite is temporary tissue damage at the site of the snakebite. Girl bitten by copperhead snake, Miya Shay reports. With all this in mind, experts say it is best to get immediate medical attention after a copperhead bite because some people may have strong reactions to the venom. Beckie Kistler was driving down the interstate when she noticed a copperhead snake slither up besider her inside her car. King cobra snake captured in Needville, Chauncy Glover reports.